I’m still in full Halloween mode and decided to whip up a quick costume piece before the big day! 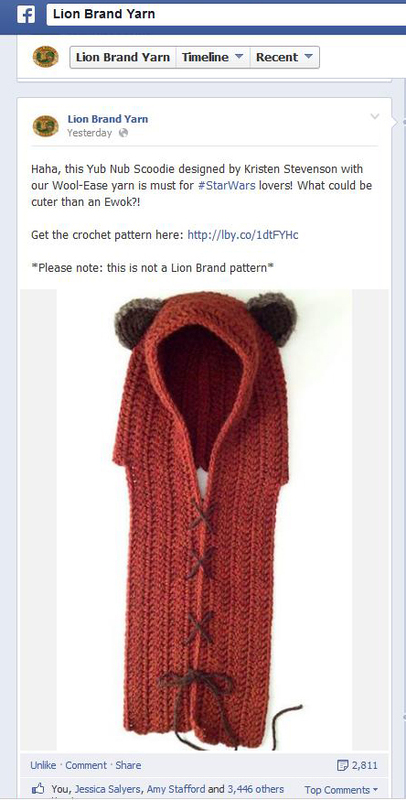 Introducing my latest pattern, the Yub Nub Scoodie. It’s part Ewok, part hoodie and part scarf all rolled into one. I suppose if you’re “too mature for animal ears”, you could leave them off and just have a nice scoodie, but I shame you for your lack of imagination. Okay, not really, but you have to admit, life with animal ears is more entertaining. 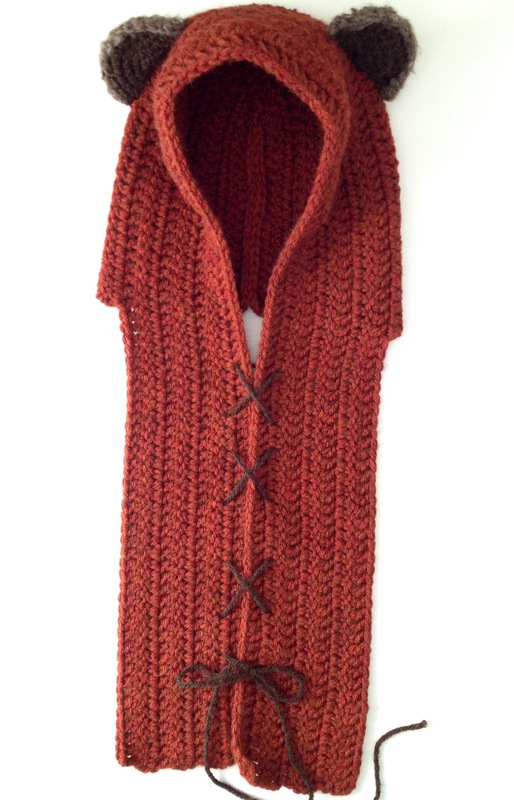 The pattern is available for free PDF download via Ravelry here. October 27, 2012. Tags: animal, crochet pattern, ewok, hood, scoodie, star wars. Crochet Pattern. 17 comments.